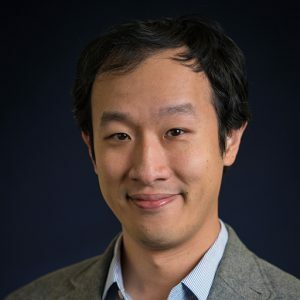 Yu-Hao Lee‘s research focuses on communication technology and media psychology. His research examines how users process information in interactive media and the individual/social effects of interactive media such as digital games, social media, and online activism websites. His research interest stems in part from his professional experience as a journalist covering political, education, and environmental news. Where he is constantly seeking new ways to communicate complex stories. He is passionate about the potential of using digital games to motivate behavioral change. He has been involved in several design-based research projects exploring persuasive communication in various contexts. Including a serious game to teach intelligence analysts about cognitive biases, a game to improve high-school students’ information literacy skills, and a platform for adaptive news headline testing. His work has been published in journals such as Cyberpsychology, Behavior, and Social Networking, Psychological Science, Computers in Human Behavior, and ACM CHI. His research has been awarded division top paper by International Communication Association (ICA) and Association of Educators in Journalism and Mass Communication (AEJMC). He has also received grant support for his research from NSF, AEJMC, and Online News Association. He is a member of the Media Effects and Technology Lab. Lee, Y.-H., & Heeter, C. (forthcoming). The effects of cognitive capacity and gaming expertise on attention and comprehension. Journal of Computer Assisted Learning. Dunbar, N., Jensen, M., Miller, C., Bessarabova, E., Lee, Y.-H., Wilson, S., Elizondo, J., Adame, B., Straub, S., Valacich, J., Burgoon, J., Lane, B., Piercy, C., Wilson, D., King, S., Vincent., C., & Schuetzler, R. (accepted). Mitigation of cognitive bias with a serious game: Two experiments testing feedback timing and source. International Journal of Game-Based Learning. Lee, Y.-H., Dunbar, N., Miller, C., Lane, B., Jensen, M., Bessarabova, E., Burgoon, J., Adame, B., Valacich, J., Arterburn, E., Bostwick, E., Piercy, C., King, S., Elizondo, J., & Wilson, S. (2016). Teaching anchoring and representativeness bias mitigation through a digital game. Simulation & Gaming, 47(6), 751-779. Bessarabova, E., Piercy, C., King, S., Vincent, C., Dunbar, N. E., Burgoon, J. K., Miller, C. H., Jensen, M., Elkins, A., Wilson, D., Wilson, S., & Lee, Y.-H. (2016). Mitigating bias blind spot via a serious video game. Computers in Human Behavior, 62, 452-466. Jensen, M., Lee, Y.-H., Piercy, C., Dunbar, N. E., Elizondo, J., Bessarabova, E., Twyman, N. W., Burgoon, J. K., Valacich, J. S., Adame, B., Miller, C., & Wilson, S. (2016). Exploring failure and engagement in a complex digital training game: A Multi-Method Examination. AIS Transactions on Human-Computer Interaction, 8(1), 1-20. Lee, Y. H. (2015). Does Digital Game Interactivity Always Promote Self-Efficacy?. Cyberpsychology, Behavior, and Social Networking, 18(11): 669-673. doi: 10.1089/cyber.2015.0165.